Would you like a long term stable position? Our technicians have 8 years of experience on average with us, some over 20 years. 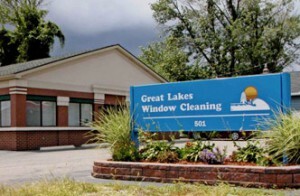 For nearly 40 years Great Lakes Window Cleaning has been one of Lansing’s premier service providers and we are expanding to the Jackson and Ann Arbor Areas. It’s something we are proud of and we are looking forward to continuing that level of service as we expand throughout lower Michigan. As family-owned company, we appreciate how each of our employees uses their unique strengths to contribute to the success of our team. If you look at our website you will see how hundreds of our customers have expressed their appreciation and meet our current team members. Family Friendly hours, we believe in work/life balance – No evenings or Sundays.